Such a cute way to share the love! Hate em! I have a ton but only for use as photo props! But I do LOVE sequins! 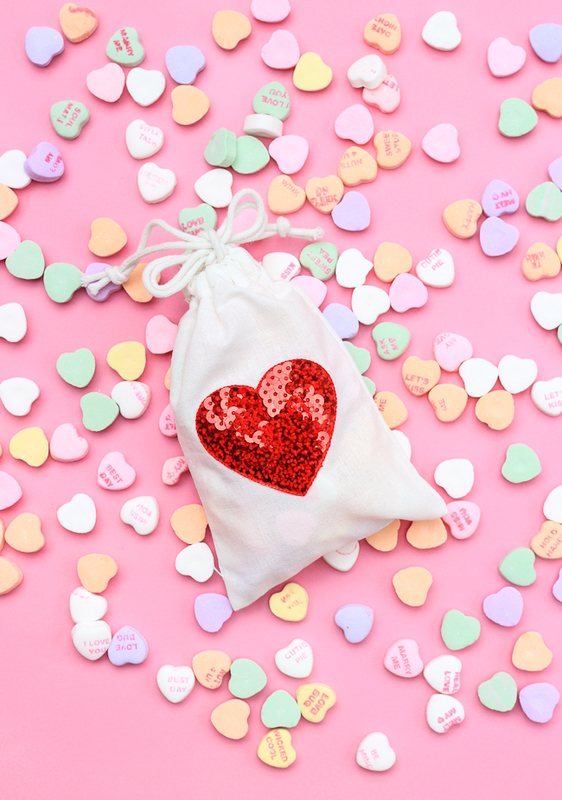 I love both candy hearts and bag. 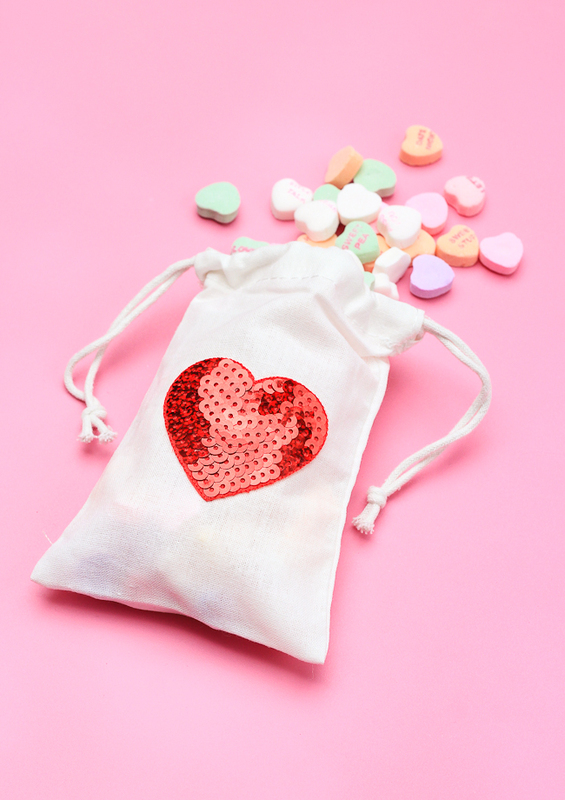 I never thought drawstring bags could look so cool with sequins. So cool and pretty bags these are. I will try to make it. Thanks for sharing. I love, love, LOVED the old conversation hearts, but ever since Necco changed the flavor, I hate them! ME TOO! Although I think last year I saw that they had a “throw-back” flavor, so fingers crossed they bring it back!